A native Californian, Edward Ward began his professional training at UCLA where he graduated with a degree in mathematics. After serving in the Korean War, he moved to the Monterey Peninsula because of his love of painting. 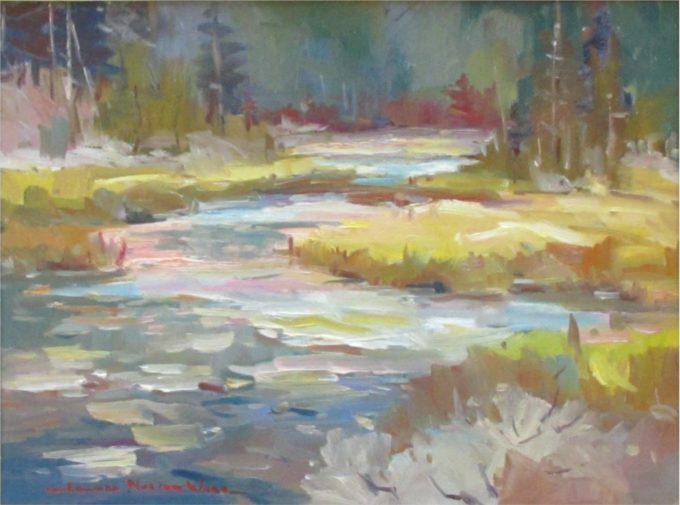 He often paints the local scenes and finds additional subjects from frequent trips to Northern California, where he hikes and fishes in the Sierras gaining knowledge of the area which he uses in his paintings. Taos, Santa Fe, Montana and Alaska and recent trips to Holland and France also supply him with fresh subjects to paint. After retiring from the Naval Post Graduate School, Ward has devoted himself to painting full-time. A student of the late Joshua Meador for five years, Ward was elected to membership in the Carmel Art Association in 1963, serving three terms as President. 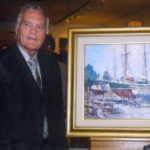 He is an Artist Member of the California Art Club and Charter Member of the Society of American Impressionists. 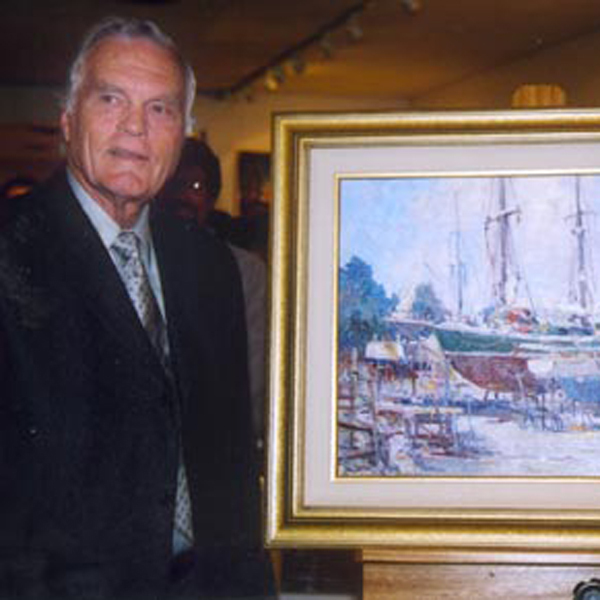 Equally adept in oils, watercolor and acrylic, Ward has become well-known as an outstanding American Impressionist. A California native, he began his professional training at U.C.L.A. where he graduated with a degreee in mathematics. After military service during the Korean War, his love of painting took him to the Monterey Peninsula where he lived and painted for most of his career. 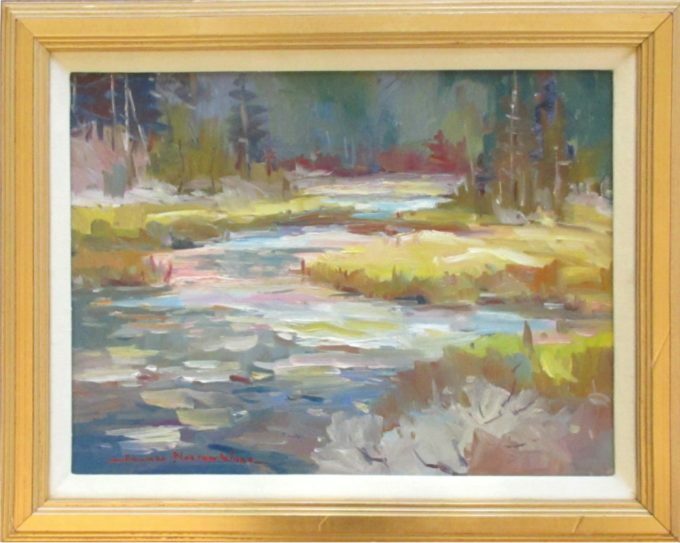 Much of his work is of the beauty of the Monterey area and frequent trips to Northern California, the Sierra Nevada Mountains, Montana, Taos and Santa Fe, New Mexico add additional subjects for Ward's brush. Ward believes that the word spontaneity best characterizes his work, his approach to painting and actually, his life. "There is a moment, a reason, something that engages me and the rest is sort of a subconscious catching the scene sort of 'out of the corner of my eye' approach to getting its essence down in paint." "When I create a painting, I have only done half of the job. The rest of the job is up to the viewer. Now the viewer again creates the painting, applies his imagination, his experience. The more an artist is in touch with his feelings, the more he trusts his spontaneity, the more likely it is he will touch the viewer." Edward Norton Ward is a respected elected member and past President of the Carmel Art Association. He is also an elected member of the California Art Club. He has published a book, First Impressions-Sketching Nature in Watercolor and has been featured in Southwest Art Magazine in 1986 and 1998.